This book has been getting a lot of buzz in the past year from Canadian book reviewers, mostly for the style of writing. 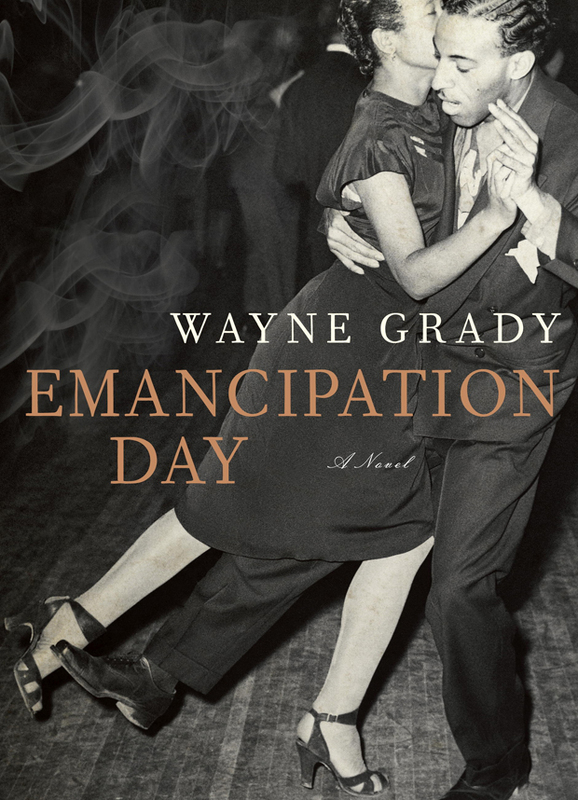 I will agree that Wayne Grady has written this book in a rhythmic way that evokes the jazz music that appears throughout the story. The music is not the driving force as it is in Half Blood Blues however, but rather belongs in the background, providing ambiance music to set the scene. As much as I enjoyed Grady’s writing, for me the story was about 60% there. Essentially Grady is telling the story of Jack, an African American boy who is born with white skin. He grows up in Windsor Ontario during the 30s and 40s before the outbreak of the Second World War. During the war, while stationed in Newfoundland Jack meets Vivian and marries her but tries to keep his family a secret. Things get complicated however when the pair travel to Windsor to meet his family and Vivian finds out she is expecting a child. It’s a good story, but I feel like it either should have been a lot longer, or much shorter focusing in on Jack’s refusal to acknowledge, and even hatred of, his own race. There is so much interesting emotional stuff to dissect with his character which wasn’t really done. There is no real climax or conclusion to the novel, and the characters do not really develop. I still liked the book but I’m not so sure if it deserves all the immense praise it has received. This entry was posted in Reviews and tagged 1930s, 1940s, Canada Day, Canadian Fiction, Canadian History, Canadian Literature, Emancipation Day, Fiction, Jazz Music, Newfoundland, Novel, Post-War, Race History, Race Relations, Review, Wayne Grady, Windsor, World War Two on July 6, 2015 by kwils3. How does one begin to explain the unexplainable? Convince others to believe the unbelievable horrors that awaited the women of the French Resistance, Les Convoi des 31000, once they arrived at Auschwitz-Birkenau. Of the hundreds of women sent to Nazi death camps only a handful survived to tell the story. This is their story. This book was so hard to read, I found myself stunned at times needing to put it down. I couldn’t read too much in a day or else I would end up too depressed. 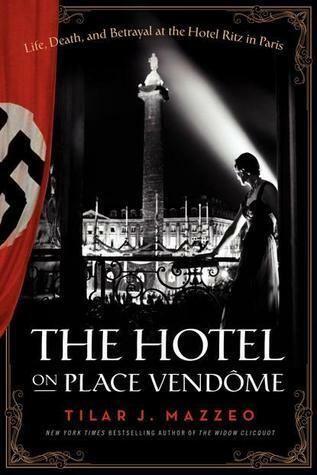 While the first part details the involvement of the women in the French Resistance, the second part deals with their lives in Nazi death camps. The horrors they witnessed and the helplessness they felt watching their friends die. Reading about the Holocaust however, and other historical atrocities should be uncomfortable and hard to read. Even though the death camps have been common knowledge to me ever since middle school, I don’t think I have ever really truly grasped the full extent of the horror, nor do I think I ever will. Moorehead writes in so much detail about the conditions in the camps, the rampant disease and lice, the lack of food and emaciated bodies, the cold, the mud, the wet, and still I cannot begin to comprehend that anyone was able to survive this for 2 and a half years. Most did not, but some did. Moorehead’s story is optimistic about the strength of women’s friendship and their lasting bond. 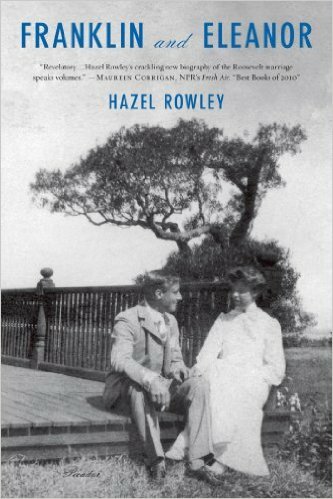 She interviewed as many surviving women as she could and writes that no one would have been able to survive in the camps on their own. They all stuck together and helped one another, pooling rations, hiding sick or injured women, as much as they could. Moorhead also writes that “The French as a national group were more cohesive than other nationalities and more prone to look after their own.” She credits the survival of a number of women to this fact. Moorehead’s book shed important light on the important role that women played during the Second World War through their involvement with the French Resistance, and the sobering reality that many paid the ultimate price for their loyalty to their country. She deals briefly with the aftermath of the war, and the treatment of war crimes in France, but her main focus us on Les Convoi des 3100, the 42 women who managed to survive out of the 230 that did not. 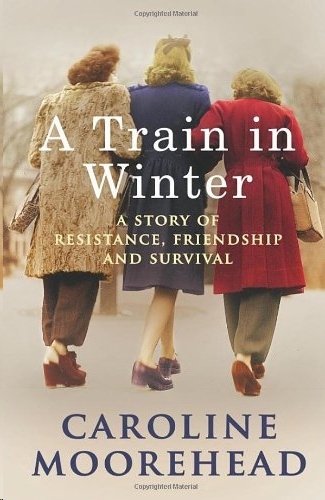 This entry was posted in Reviews and tagged A Train in Winter, Auschwitz, Caroline Moorehead, France, French Resistance, Friendship, Holocaust, Strength, Survivor, Vichy, Women, World War Two on March 16, 2015 by kwils3.